I don�t really love bonefish. There I said it. And it�s true. Despite spending countless hours fishing for them, designing and tying flies for them, and basically making my living off them, I can�t honestly say they�re my favorite fish to fish for. I understand why others love them and spend their lives chasing them to the extent of tattooing them on their bodies, but somehow I don�t share quite that level of passion. I sometimes wonder why that is. 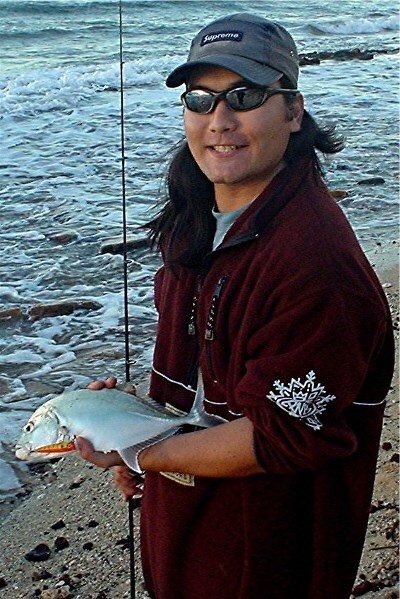 Maybe it�s because I grew up on Oahu where the king of all inshore species is and will forever be the ulua or GT. Don�t believe me? Spend a few minutes in any Hawaii parking lot and look at the trucks and SUVs that might belong to fishermen. Chances are 20% or more will have a fish sticker on them. And of those, 80% will be an ulua (the other 20% will probably be a tuna). 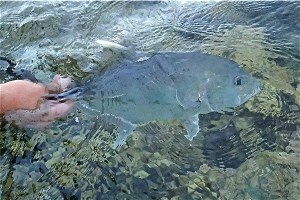 You�ll almost never see a bonefish sticker unless you�re in one of the bonefish guides� vehicles. Why is this? 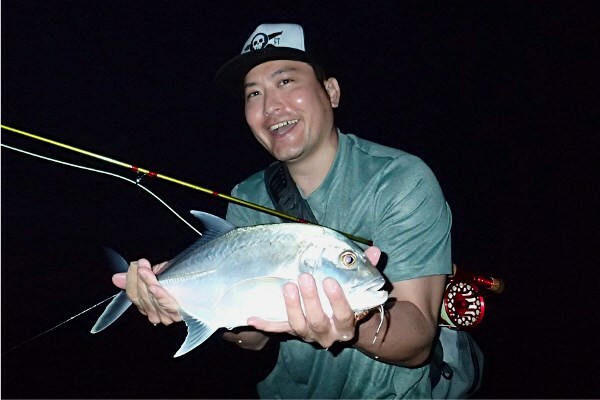 Sure the ulua get much bigger, but for me the reason I think most Hawaii people love trevally so much is because you can catch them by many different methods, they fight so hard, and they�re generally better eating (at least the small ones) than bonefish. 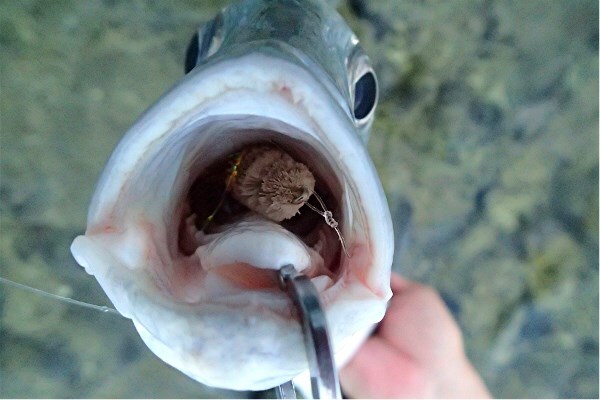 The reason I love them is because they hit topwater lures unlike anything else in the world. Back when I was finishing up in high school and starting college, I switched my fishing from primarily soaking bait to using lures on light spinning tackle. First our ubiquitous curly tailed soft plastic grubs, then lead headed jigs, and finally topwater lures. That was it. From then on I decided that was the best game in the world. In fact, the whole reason I met Clay and Kevin in the first place was to special order a fancy new spinning rod through their fly shop. (Crazy right?) 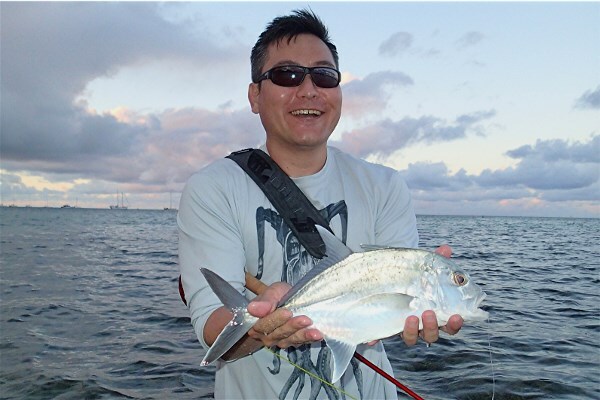 Several years and many bonefish later, I�ve switched to primarily fishing with flies and most of my spinning tackle has been sold, given away, or is gathering dust in the back of a closet. But now and then I still get the urge to fish topwater. 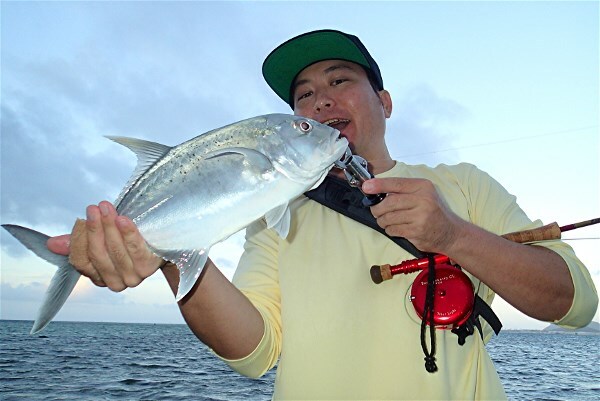 I�m not joining the GT Fight Club anytime soon, (although I did my share of that kind of fishing on Christmas Island) but lately I have been spending more and more time away from the bonefish flats in search of aggressive small trevally that will hit streamers, poppers, and deer hair sliders on the surface.